We recently stumbled across a picture on Instagram that we wanted to share. 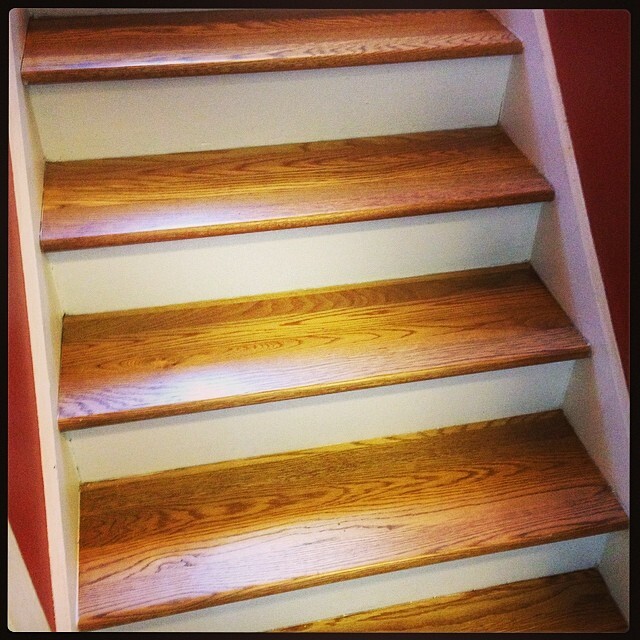 Contractor Michael Stevens with Excel Flooring Design recently “stepped up” his floor game by applying PoloPlaz products to a flight of hardwood stairs. According to the Instagram post, Stevens applied PoloPlaz Polyurethane to the stairs. We think they look fantastic! We’re not sure what Led Zeppelin’s “Stairway to Heaven” or Nido R. Qubein’s “Stairway to Success” is finished with, but we’d like to think they would use PoloPlaz! Contact us if you would like your stairway finished with PoloPlaz.